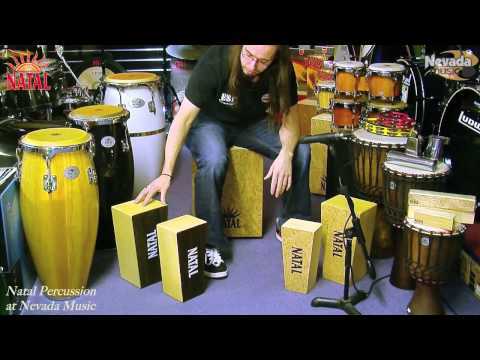 Whether you want to play traditional Flamenco music or you want to use a Cajon as a portable all-in-one 'drum', the Natal Large Birch Cajon.. Whether you want to play traditional Flamenco music or you want to use a Cajon as a portable all-in-one 'drum', the Natal Large Birch Cajons are hand crafted to a high standard. Ideal for bands who perform acoustic sets, or for a busking drummer that wants to catch peoples attention. This one is constructed out of black birch wood with a black face and white Natal logo for a professional look. The Cajon has become an essential part of the percussionist’s setup and is also widely used as a highly portable ‘drum set’ for impromptu or stripped down performances. The Natal range of traditional Cajons are expertly hand crafted and feature: fully adjustable snare wires, high grip tops, heavy duty rubber feet & a selection of four stunning front panel finishes in either large or extra large sizes.